Did you know that in the next 20 years the number of senior drivers is predicted to triple in the United States? Although driving can become more of a risk as our physical and mental fitness changes with age, many seniors are still driving well into their seventies because they’re able to modify their driving habits. However, research has shown that at around the age of 65, drivers face an increased risk of being involved in a vehicle crash. And when you reach 75, the fatality sharply increases as your body gets more vulnerable to crash-related injuries. Poor judgment in making turns. Drifting within the traffic lane. Decreased ability to react to rapid changing or unexpected situations. Decreased mental capacity that can lead to confusion or delayed reactions. Presence of injury, illness, disease or other conditions predominant in seniors. Drowsiness and other side effects of medications. 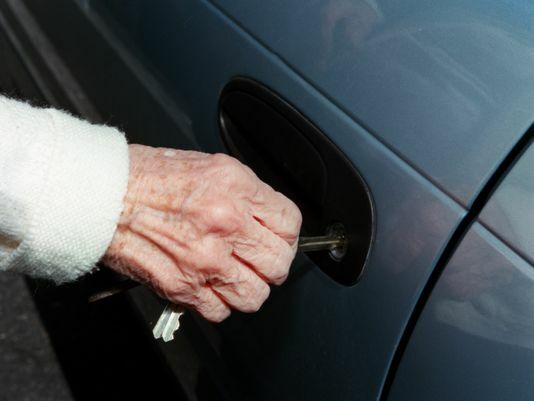 While there are many studies that have been done about senior citizens who drive, it is still extremely hard when talking about when it’s time to take away the keys. This can be a delicate subject for seniors because it means taking away some of the factors that allow them to remain independent. HomeHero caregivers can work with your family when you are making the decision to have this conversation. With their experience, they understand how to work with your loved one to show them the positives when it comes to reluctantly giving up this particular freedom. It’s about showing them that you love and care for their safety as opposed to telling them that they can’t drive anymore. It’s never an easy topic to discuss with senior citizens, but there comes a time in every person’s life when it may be time to give up the keys. Explore options that are available for your loved one, including public transportation or transportation services from a HomeHero caregiver.